The AquaMetix Filter Cartridge fits ONLY the AquaCera or Doulton Water Filter Housings. 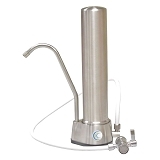 Effectively filters Fluoride, Chlorine, Chloramine, Lead and Heavy Metals. 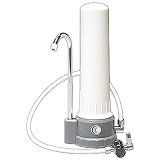 The AquaMetix filter is designed to provide the highest quality drinking water possible from a single stage block filter. 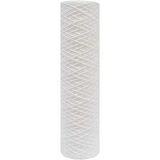 This very unique filter cartridge reduces a wide variety of organic and inorganic substances, including most heavy metals, chlorine and nitrogen compounds including ammonia, urea and chloramines. This filter will reduce a wide variety of drinking water contaminants of both aesthetic and health concern. 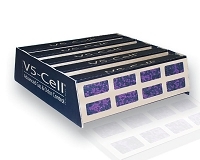 The dense pore structure and vast surface area is ideally suited to improving taste and odor, color, chemicals, MTBE and Fluoride. 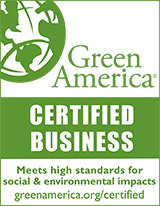 This cartridge made by AquaMetix combines the highest FDA-compliant raw materials, all of which are NSF 61 certified independently, and combined with state of the art manufacturing methods results in outstanding performance. This Filter also reduces heavy metals, fluoride, and contaminants like aluminum, cadmium, lead, iron zinc, copper, arsenic, nickel, manganese, silver, chromium and mercury. Depending on the level of contaminants found in your water supply, the reduction of these impurities will vary from 90% to 95%. 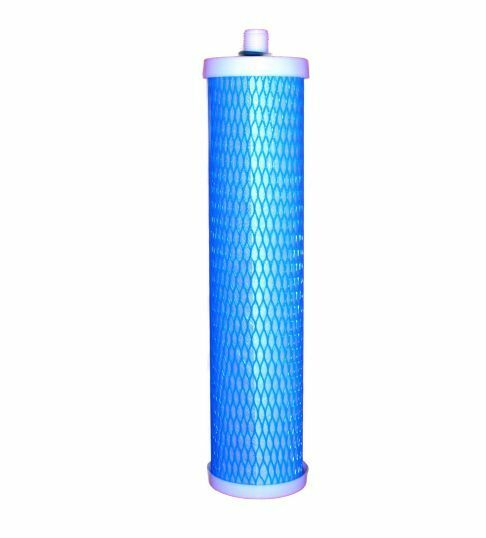 The filter cartridge is designed to last for 1,000 gallons, we recommend replacement every six months or whenever you notice a significant reduction in flow. Outstanding ceramic water filter! 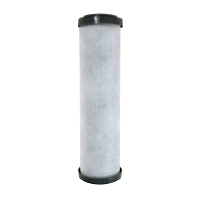 Specific replacement for one of two different cartridge filters in my Aqua Cera twin countertop water filter. Also, you just can't beat this price.